The Chicago North Men's Senior Baseball League is entering its twentieth season of adult baseball. Since its creation in 1987 with four teams of players age 35 and older, it has steadily grown, becoming one of the premier Chicago area adult baseball leagues. In 2007, we have 25+, 35+, 45+ and 55+ divisions. The national organization, Men's Senior Baseball League , with which Chicago North is affiliated, has led the phenomenal growth of adult baseball with the rebirth of players playing for their love of the game. From a 60 player league in Long Island in 1986, it now boasts over 275 leagues and nearly 40,000 players nationwide. Hardball Magazine is the official magazine of MSBL. CNMSBL plays in Des Plaines, on the campus of Oakton Community College; at Meadowhill Park on Waukegan Road in Northbrook; at Redmond Park, John Geils Field in Bensenville; and Recreation Park in Arlington Heights. 1985 Fanatics, formed by Scott Mermel, played in Chicago Metropolitan Twilight League. Included Bob Friedman, Jeff Gendelman, Rick Gordon, Bob Shapiro, Phil Smith, Al Vodicka. 30+ league after appetites whetted at Hundley camp(s). 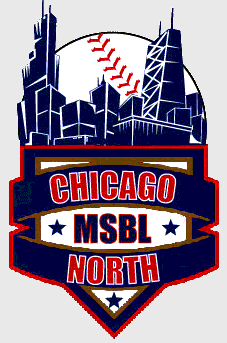 1987 Chicago North league formed, affiliated with Sigler's MSBL. 1988 MSBL held first world Series national tournament in Arizona.